I have a 11082874820 kenmore washer. 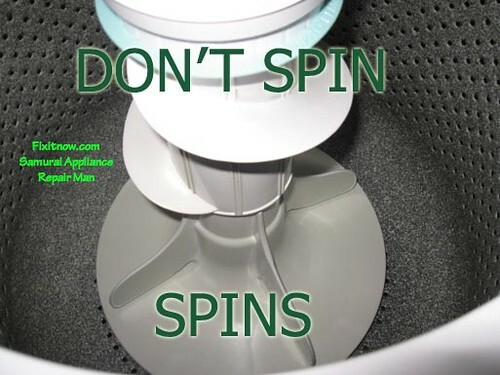 The upper part of the aggitors spins freely when washer is off, but wont agitate (spin) when bottom spins. How do I get this apart and what may be the problem? bottom part moves, top does not. This entry was posted in Haiku, Washer Repair on December 28, 2009 by Samurai Appliance Repair Man.